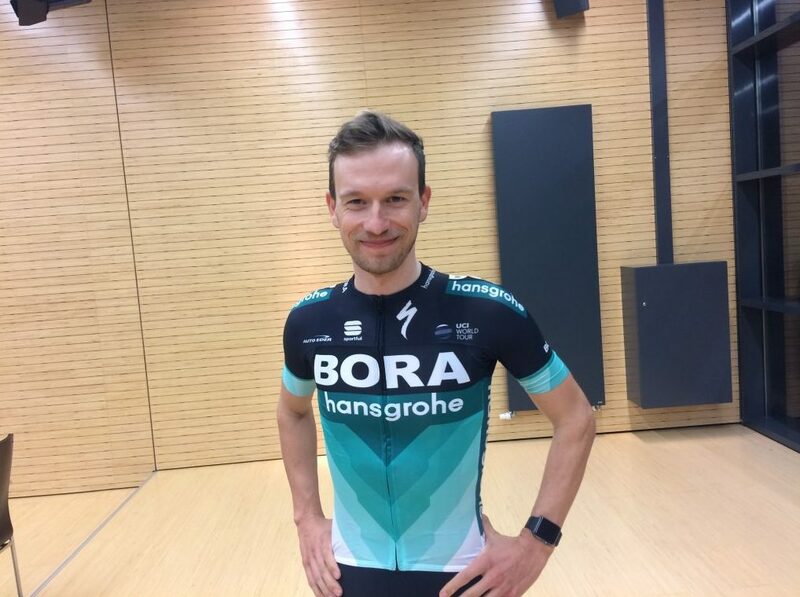 Leopold König (BORA-hansgrohe) has finally overcome a long-term knee injury which turned his last season into a disaster instead of a success. In the interview for Naszosie.pl during the BORA-hansgrohe official presentation in Schiltach, he commented upon his ups and downs and set his aims for 2018. It was supposed to be the decisive season for the 30-year-old Czech rider. After spending two years in Team Sky, where he was helping riders such Chris Froome, he was going to become the team leader in the Giro. But, unfortunately, he was forced to postpone his plans due to serious knee injury. The seventh place in the Tour de France 2014 and the sixth in the Giro 2015 are König’s best results up to date. However, he showed his potential for Grand Tours for the first time in the Vuelta a España 2013 when he won a stage and finished ninth in the General Classification. Is your knee injury completely healed? Yes, it is. I was able to participate in the last two World Tour races of the 2017 season [Tour of Turkey and Tour of Guangxi – M.W.]. Racing there provided me with the opportunity to save my career, and so I pulled it off – I completed these races and even had a few good performances. I feel good at the moment and I can say that I’m back. How did you feel at these races? I didn’t race so bad. For example, I was eleventh at the mountain-top finish in the Tour of Turkey, and, what’s more important, I was able to do that almost without any pre-race preparation. I think this speaks for itself. After all, in 2017 I have pinned the race number to my jersey only a few times, so it was nice to end the season like that. Was it the worst injury in your whole career? Yes, definitely. I was trying to come back to my normal training for months. It was a long-term injury. To be honest, it was such a serious situation that we didn’t know what to do next. You have known BORA-hansgrohe (previously NetApp-Endura) since the Continental times. How do you assess its first season as a World Tour squad? I have known Ralph [Denk – the owner of the BORA-hansgrohe team] since the Continental times and I’m impressed by his work. BORA-hansgrohe is one of the few teams in the pro peloton which wasn’t promoted to the World Tour level directly from Pro Continental. BORA-hansgrohe have had a lot of bad luck this season, but, in spite of the odds, they have managed to achieve thirty-four victories. I’m sure this will pay off in the future. After all, this significant effort has already largely contributed to the team’s overall development. What are your aims for 2018? Together with the BORA-hansgrohe’s management we have decided that I will first go for the GC in the Giro, and then we will see. I don’t know how my body will react to three weeks of racing. After the Giro, there are a few more options to choose from, like the Tour or the Vuelta. Are you going to be a solo leader in the Giro? We don’t have a team like Team Sky, so it is better for us is to have two leaders in the Grand Tour rather than only one. Probably, I will be co-leading with Davide Formolo in the Giro, but this is yet to be decided. What are your build-up races for the Giro? My first race is Challenge Mallorce, followed by Tirreno-Adriatico, Vuelta al Pais Vasco and Tour of the Alps. What do you think about the Giro d’Italia 2018 route? I think the route is well-balanced, but I’m mostly impressed with the Grande Partenza in Jerusalem and the finish in Rome. In my opinion, this is something special and more important than the race itself. The same goes with the final in Rome. But are you aware of the controversy surrounding Palestinians’ socio-political position and safety in Jerusalem? I’m convinced that sport can break down the barriers between nations. I believe this is a good idea. But, speaking of safety issues, I don’t think that racing in Jerusalem is more dangerous than, for example, in Paris. Our participation in the official presentation of the BORA-hansgrohe team was possible thanks to the courtesy of Hansgrohe Polska.